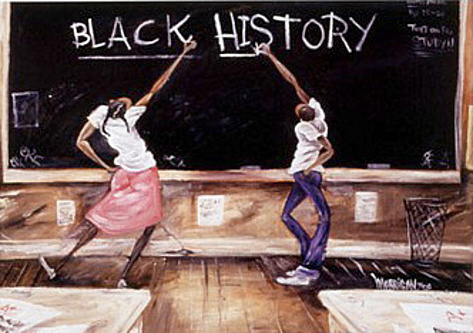 Activities in celebration of Black History continue as the School Visit Program was commemorated this week. The purpose of these activities are to celebrate and to educate people of the culture, history and heritage of black people. The activities for this month were organised by the Dominica Reparations Committee in collaboration with: the Roseau Public Library; DBS Radio; The National Youth Council and; the House of Nyabinghi . Presently the organizers have began a school visits program. This program includes school visitations where people from the organising groups will host discussions and educations sessions with students. There has been visits to schools in Portsmouth and the St Martin Schools. The plan is to visit schools across the island by the end of the month. Chairman of the Reparations committee, Dr Damian Dublin said that the faculty’s mandate is to cover schools all over the island to promote black history month. Through the Month there will be focus placed on the schools across the country to further educate students of the heritage of black people and discussions on: natural healing; head tie and; a skin care symposium. In an interview with Vibes News, Member of the Reparations committee, Mr. Franklyn Georges expressed that the committee is putting in place visits to different schools and he is very elated with the events taking place. He informed that all as possible is being done to touch the lives of students in each school. Mr Georges also highlighted that black history should be taught in schools and encourages the education ministry to include black history as a part of school education. Dr Dublin deemed the inaugurating event of the month held on February 1st a great success. When dates and venues for further activities have been decided Vibes News will provide updates to the public.